With the growing urbanization, and increased disposable income, consumers are more willing to spend on beauty and cosmetic products. Apart from increased consumption rate of women’s cosmetic product, the recent time have seen growth in demand of men’s product as well, majorly driven by young urban metrosexual men. Nowadays men’s are extremely cautious about the way they look which has helped the cosmetic industry boom. Men are more aware and have a lot more choices. 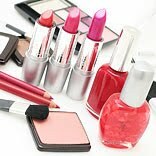 Around 40 percent of cosmetic sales catered to the male consumer. “Men have become more aware of their beauty needs and beauty solutions over the last decade; however, this consumption is largely restricted to skin and hair products only”, said, Sameer Prasad, CEO, Faces Cosmetics India. Cosmetic industry is one of the most dynamic industries driven on the one hand by global trends in fashion and on the other hand by product innovations. Going natural is seen as key trend in today’s beauty conscious consumers. Apart from natural, organic and fair trade is the new movement in the beauty segment. Some of the highest selling products at Faces Cosmetic include lipsticks, lip-gloss, pout enhancing ultra lip plump, eye shadows, eye pencils, eye liners and eye primers. At Lush, the handmade soaps are the best selling category followed by cleanser and the solid shampoos. Prasad also believes that making economics work initially at some of the premium mall locations in the country, at such a high real estate prices is a major concern. Creating loyalty amongst consumers in certain sub-categories is also a challenge. Clutter in the category in MBOs is another problem. “Our aim is to deliver the highest quality of products to the discerning Indian consumer through constant innovation and products that are premium or international in quality but with shades adapted to the Indian skin tone. We want to bring the latest colour trends to the Indian consumer”, said Prasad. Also he informed that the Faces Cosmetic is focusing on increasing its distribution footprint across tier I and tier II metros.